It is my distinct pleasure to address this distinguished audience and to give an overview of the Trinidad and Tobago Energy Sector and the plans for its future development. The Energy Sector in Trinidad and Tobago has been the main driver for economic development in the country contributing on average forty percent of Gross Domestic Product over the last ten years. The country has been recognized as a hydrocarbon province since the discovery of oil by Walter Darwent in Trinidad and Tobago in 1866. Based on the latest available figures the country has 3P Un-risked Gas Reserves of 20.8 trillion cubic feet and natural gas resources of 43.05 trillion cubic feet. 3P Un-risked Oil and Condensate reserves amount to 508.44 Million barrels. The availability of significant hydrocarbon resources, particularly natural gas has formed the basis of the major industrial development in the country. The country has utilized its natural gas resources to create an Industrial Estate at Point Lisas, Couva on the West Coast, Trinidad which can compare with other major industrial developments in any part of the global energy industry. The Point Lisas Industrial Estate comprises seven world class methanol and eleven ammonia plants. Annual ammonia production is approximately five million metric tonnes. Methanol production is approximately 4.7 million metric tonnes and downstream products comprising Melamine, Urea Ammonia Nitrate and Urea amount to approximately 1.9 million tonnes per annum. Based on the production from these facilities Trinidad and Tobago is ranked globally as a major producer of petrochemicals. Trinidad and Tobago also houses one of the largest natural gas processing facilities in the Western Hemisphere. The Phoenix Park Gas Processors Limited (PPGPL) natural gas liquids (NGL) complex is located in the Port of Savonetta, on the West Coast of Trinidad. It has a processing capacity of almost 2 billion cubic feet (Bcf) per day and an output capacity of 70,000 barrels per day of Natural Gasolines. A major jewel in the Trinidad and Tobago industrial setting is its Liquefied Natural Gas (LNG) Complex at Point Fortin. The complex houses four LNG Trains with a total capacity of 15.2 million metric tonnes per annum. One of the LNG trains had the distinction of being the World Largest LNG Train with a capacity of 5.2 million metric tonnes per annum. Chile is one of the major export markets for Trinidad and Tobago LNG receiving in excess of 2 million metric tonnes of LNG per annum. Year to date information shows that for 2017 already 1.0 million metric tonne has been shipped to Chile. The country also has an oil refinery which is owned and operated by the State Owned Petroleum Company of Trinidad and Tobago. The refinery has a conversion capacity of 168,000 barrels of crude oil to a range of refined petroleum products which include aviation fuel, unleaded gasolines and diesel. The company is the sole supplier of liquid fuel products to Trinidad and Tobago and supplies product to meet up to 45% of the demand in the CARICOM region. Overall 40% of its production is supplied to home and regional markets and 60% of the production is marketed in extra-regional and international markets. Given Chile’s requirement for liquid fuel products there is opportunity for the expansion of trading links in this area. Within the last five years the domestic energy sector has been faced with numerous challenges such as low energy prices, declining production and a reduction in investment by the energy companies. This has impacted negatively on all participants in the sector comprising the Government in terms of taxes and on the financial performance of the downstream companies as well as the upstream companies. A study which was commissioned on the gas sector has advanced a number of recommendations which include the commercial restructuring of contracts to ensure that there is equity in sharing of the economic returns among stakeholders. The study was evaluated by an Energy Task Force established by the Government and is currently under review. In addition the Government took the opportunity to enter into dialogue with the Upstream Companies in order to arrive at solutions and to reverse the decline in the production of hydrocarbons particularly natural gas. These discussions have borne fruit and the major upstream companies have committed to work programmes which would improve the production of natural gas in the shortest timeframe. There are also in train discussions among the Government of the Republic of Trinidad and Tobago, the Government of the Bolivarian Republic of Venezuela, our designated state energy companies and upstream companies for the supply of gas to Trinidad and Tobago from Venezuelan gas fields and the development of cross-border gas fields. These discussions are moving apace and we anticipate early execution of the required agreements to facilitate the production of natural gas from these fields. However for the longer term the country needs to stimulate an aggressive exploration programme. Exploration activities have so far been limited to one-third of our land and marine acreage. Of the remaining two-thirds, approximately 75% of the unexplored acreage is in our East Coast deep-water area, where recent exploration activity has identified a significant prospect and will be subject of six exploration wells in the 2017/2018 period. This area has been compared with the Guyana-Suriname Basin located to its Southeast and the Ghana’s Tano basin, where there have been several large oil and gas discoveries. The un-explored acreage on land and marine areas represent a valuable resource to be exploited. To this end the Ministry of Energy and Energy Industries has invited nominations for blocks onshore, in shallow water and in the northern and eastern deep-water blocks. Companies can indicate which unlicensed areas are of interest during the six-week nomination period, which closes on June 30, 2017. The selected blocks will be included in a proposed 2017 Competitive Bid Round. In parallel with this exercise the Ministry of Finance is undertaking a review of the fiscal regime with the intention of structuring a regime that is amenable to all stakeholders. In relation to oil production, state owned Petroleum Company of Trinidad and Tobago offers the best opportunity to expand production from existing reserves. It has proved oil and gas reserves approximately 163 million barrels of oil equivalent and holds the licenses in land and marine acreage, which have been deemed to be highly prospective. However, despite its significant resource base the current experience has been one of under-performance. At present the company produces approximately 50% of the total country’s crude oil production but has the potential to substantially increase its production. To this end a Committee comprising persons with experience in the oil and gas sector and the appropriate disciplines was appointed with a view to making recommendations for the restructuring of the company. The initial report of the Committee is due on June 1, 2017. In December 2015, the Global Community at the Paris Climate Change Conference came to a decision point that is the taking of affirmative action with respect to climate change having recognized the impending catastrophe if the status quo is maintained. The participating countries at the Conference, including Trinidad and Tobago, agreed to set a goal of limiting global warming to less than 2 degrees Celsius (°C) compared to pre-industrial levels. To achieve this objective a reduction in the utilization of fossil fuels and an increase in renewables in the energy mix accompanied by increased energy efficiency is required. The Government of Trinidad and Tobago is committed to the promotion of energy efficiency, and renewable energy sources, including wind and solar, as the means to increase our energy security and reduce our reliance on fossil fuels. In keeping with our policy it is our intention to maximize, where practicable, the use of renewable energy such as solar and wind through incentives, concessions and enabling legislation, and make the reduction of Trinidad and Tobago’s carbon footprint a priority by setting appropriate renewable energy production targets. The Government of Trinidad and Tobago has set a target of 10% renewable power generation by 2021. This will require the development around 150 MW of renewable energy resources. As part of the strategy to attain the target of 10% of power generation by 2021 we have also embarked on a Waste to Energy Project, which will also contribute to the modernization of the Integrated Municipal Solid Waste System in Trinidad and Tobago. Both Chile and Trinidad and Tobago have stated commitments with respect to the reduction in Greenhouse House Gas emissions focussing on the three major emitting sectors, namely transportation, power generation and industry/mining. Trinidad and Tobago became a signatory to the Paris Accord in April 2016 and in accordance with this country’s ‘Intended Nationally Determined Contribution’, aims to achieve a reduction in overall emissions of 15% by 2030. Likewise, I am informed that Chile aims to reduce its GHG emissions by 30% compared to 2007 levels by 2030 as a mitigating measure. Trinidad and Tobago, as a gas based economy, is in the fledgling stage of development of its renewable energy resources. By contrast, Chile has seen huge growth in renewable energy including wind, solar and mini hydro energy in recent years and in accordance with that country’s Energy Policy, it is anticipated that renewable energy will contribute at least 70 % of electricity generation by 2050. In the area of energy efficiency and conservation, Chile is renowned as being a very energy efficient country. Accordingly, there is opportunity for Trinidad and Tobago to learn from the experience of Chile in this area, as well as in the area of renewable energy. Such collaboration would be timely as Trinidad and Tobago is currently giving consideration to the development of its first ‘Nationally Appropriate Mitigation Action’ which will involve addressing emissions in the electricity generation sub-sector. On February 23, 2010 a Memorandum of Understanding was executed between the Government of the Republic of Trinidad and Tobago and the Government of the Republic of Chile concerning cooperation in the development of energy sector interests. 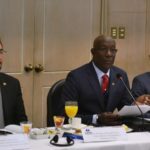 Notwithstanding the economic ties between Trinidad and Tobago and Chile, active administration of the Memorandum of Understanding was not affected. 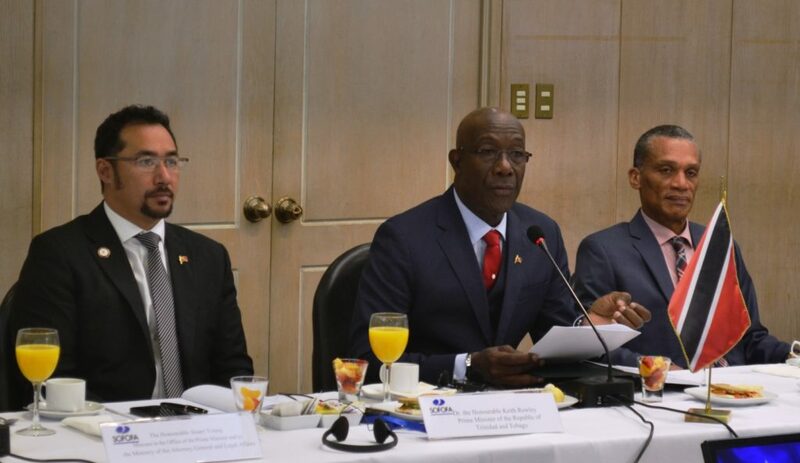 The Government of the Republic of Trinidad and Tobago therefore is desirous of re-establishing relations with the Government of the Republic of Chile pursuant to the provisions of the Memorandum of Understanding. We are of the view that strengthening the ties between our countries will lead to greater economic collaboration to our mutual benefit. We look forward to the re-engagement of the Government of the Republic of Chile on co-operation in the development of energy sector interests.